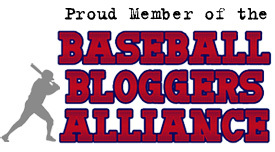 Daniel Clark on DBAT: 20% of the 2012 Connie Mack World Series Field? It’s hard to believe that a guy like Yasmani Grandal could somehow become dispensable (not to mention Yonder Alonso), but that is exactly what happened when the Reds sent both guys to San Diego for Mat Latos. 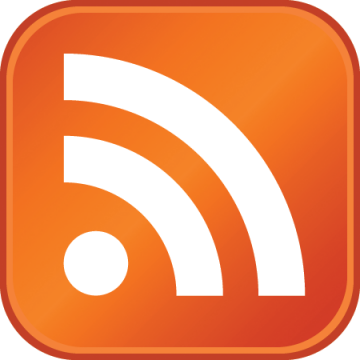 The primary reasons that deal makes sense for the Reds is No. 1: Joey Votto, and No: 2, Devin Mesoraco. 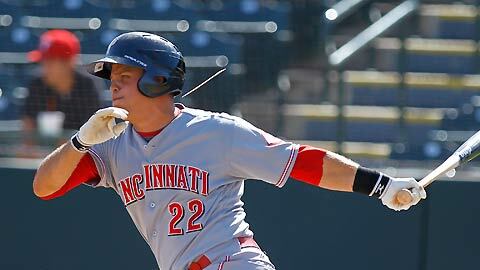 Mesoraco slashed .289/.371/.484 for Louisville and then was called up for 50 at-bats with Cincinnati. He went deep 15 times in Triple-A, walks at a decent clip, and projects for way more power than he currently displays. 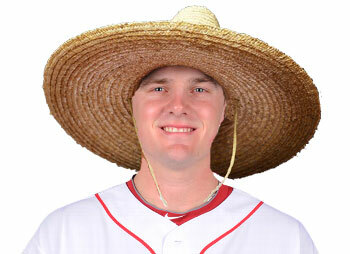 Perhaps even more important, though, is that Mesoraco possesses the tools to be an average catcher in the Show. He is an average receiver as well as thrower, and should be the Opening Day starter for the Reds in 2012 , hitting in the middle of the order by 2014 alongside Jay Bruce and Votto. Grandal is built like a brick wall, so it’s tough for him to get his 220-pound frame moving. That is just about the only knock on him, though. Devin Mesoraco is one of the finest hitting prospects in the game, and he does an average job on the other side of the ball at a premium position. 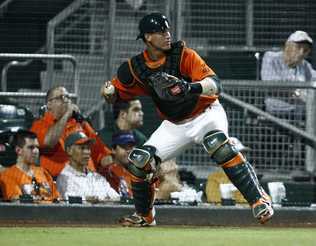 Grandal, a product of the Miami Hurricanes program, had a monstrous year behind the dish across three stops, culminating with four games in the International League to close the season out. He even has collected 12 at-bats in the Arizona Fall League. Grandal, a switch hitter, was selected 12th overall in 2010, and in his first full professional season in 2011 slashed .305/.401/.500 as a 22-year old. He should start the year in the high Minors with a chance to break in at some point during 2012. The more realistic scenario likely has him cracking the lineup in Cincinnati in 2013 or somewhere else via a trade since Grandal is behind Devin Mesoraco on the depth chart, a consensus top-20 prospect. Still, Grandal’s glove typically receives better grades as does his arm than Mesoraco’s. Scouts prefer Grandal’s ability from the left side of the dish a little better than from the right, but he’s plus from both sides. With a full season behind the dish in the Show, Grandal could amass 20 bombs and approach a .300 average with good on-base skills and above average defense. That sounds a lot like Victor Martinez to me, especially when considering that he hits from both sides. Grandal is the kind of big-upside backstop that every club would like to see in the high Minors. Of all people, Juan Francisco clubbed one of 2011’s more impressive home runs in the second inning of Monday night’s game against the Cubs. Francisco unloaded on a 1-0 “fastball” from Rodrigo Lopez, blasting it out out of Great American Ball Park to right field at an estimated 502-feet. ESPN Home Run Tracker (formerly Hit Tracker Online) estimated it’s true distance at 482-feet, which is still pretty remarkable. The video also features Brandon Phillips’ upper-deck, tape-measure shot off Lopez, which traveled 422-feet. 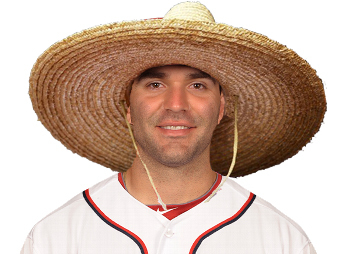 Notes: In a game that lasted 14-innings and featured 34 total strikeouts, Espinosa was miraculously the only player to register a sombrero. Despite the low batting average (.230) and frequent strikeouts (24% K%), the Nats’ rookie has turned in a solid rookie campaign—18 home runs, 13 stolen bases, 59 RBI and 2.9 fWAR—and could receive some third, fourth and fifth place votes for Rookie of the Year. Notes: Bruce’s golden sombrero against the Mets on Tuesday night was his second of the season. On a night where the Reds pounded out 12 hits and six runs, Bruce was one of two starters not to record a hit. After Bruce hit a walk-off home run off Byrdak to clinch the N.L. Central last season, the left-handed reliever definitely got his revenge, as he fanned Bruce to end the game.